Are you tired of your yellow, misshapen, or crooked teeth? At Rejuvenation Dental, we offer a range of cosmetic dental treatments to address all of your concerns. Improving your smile with cosmetic dentistry can have lasting effects on your overall appearance. Cosmetic treatments can improve your self-esteem and confidence, while making you want to smile more. Dr. Brent Call, DMD and the entire team at Rejuvenation Dental believe that your cosmetic treatments should be custom-made to fit your lifestyle and dental health goals. We also believe that it is important for you to be educated on your different cosmetic dental options, so you can make knowledgeable decisions about your dental health. Cosmetic dentistry is a branch of dentistry intended to improve the appearance of your teeth. However, cosmetic dentistry can also tackle functional problems in your smile. 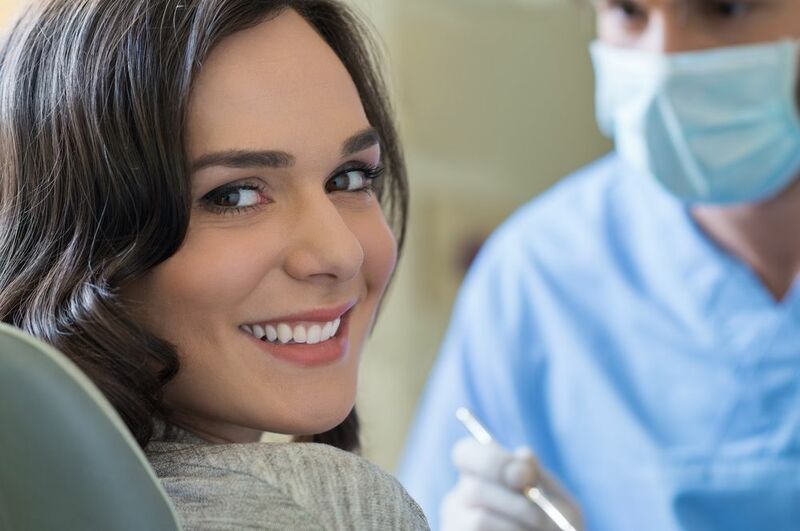 Depending on the treatment you choose, cosmetic dentistry can brighten the color of your smile, improve the shape of your teeth, or even replace missing teeth. Cosmetic dental treatments can also reshape your gums to enhance the size and shape of your teeth, replace silver fillings with tooth-colored fillings, or realign your teeth with orthodontic appliances. Cosmetic dentistry can enhance your overall appearance. The most apparent benefit of cosmetic dentistry is that it improves the appearance of your smile. Cosmetic dentistry can make you look, younger, healthier, and more confident. Boost your self-confidence with cosmetic dentistry. Putting in effort to enhance your appearance directly correlates with improved self-esteem and confidence. When you’re happy with your smile, you’ll be more likely to share it. Improved self-confidence can help you easily navigate through stressful social situations like job interviews, meeting new people, and attending parties. Cosmetic dentistry can help your social life. As we mentioned earlier, being happy with your smile means sharing it more often. When you’re confident with your smile, you won’t worry about about it’s appearance when smiling and laughing. Your vibrant new smile will infect the people around you and brighten others’ days, while improving your social life. Prevent further dental issues with cosmetic dentistry. Oftentimes, people immediately assume “cosmetic” treatments are solely for looks. However, they can also help you preserve your dental health. If you have chipped, crooked, cracked, or yellow and decayed teeth, they can impede on your ability to chew and create an unhealthy environment for your teeth and gums. Not to mention, cracked teeth can create hubs for bacteria to collect and lead to more damage. At Rejuvenation Dental, we offer a variety of treatments to improve the beauty and function of your smile. We use the most state-of-the-art technology, materials, and techniques to improve your smile. Want a whiter smile? Teeth whitening is one of the lowest-cost and most convenient ways for a more beautiful smile. Teeth whitening can turn back time and damage from stains created by red wine, coffee, soda, tobacco, and more. During your consultation for teeth whitening, we will assess your smile to determine what kind of whitening method will be the most useful to address your cosmetic concerns. Invisalign is a discreet and convenient way to get straighter teeth. Using advanced Invisalign technology, we map out a treatment plan to shift your crooked teeth, making your smile more beautiful without the obtrusiveness of metal brackets. Metal crowns and fillings can be off-putting. Tooth colored crowns and fillings are a discreet and natural-looking way to restore damaged teeth. With tooth colored fillings, we use a composite resin or porcelain filling to restore cavities and protect your tooth and restore infections. Like a tooth colored filling, tooth colored crowns also preserve your tooth from decay. Crowns are a form of restoration that completely cap a damaged tooth. Tooth colored crowns are custom-made to look and feel just like your real tooth. While teeth whitening is a convenient low-cost way for whiter teeth, sometimes whitening treatments cannot help patients with decay and permanent stains. Dental veneers are not only a good alternative to tooth whitening, they also restore chipped, gapped, misshapen, or permanently discolored teeth. Veneers are custom-made shell like covering that are attached to the enamel on the front of your teeth. Dental veneers can be created in any shade of whiteness to either match your natural-teeth or achieve your desired whiteness. Do you have more advanced dental problems, like missing or badly decayed teeth? In some cases when damaged teeth are unsalvageable, it’s easier to extract badly decayed teeth and replace them with dental implants. Dental implants are a natural-looking tooth replacement option. They function exactly like real teeth, and they’re the most cosmetically sought-after form of tooth loss treatment. With proper maintenance, dental implants can last for decades and even a lifetime. Are you ready to get on the path to a more beautiful and confident smile? Dr. Call at Rejuvenation Dental in Scottsdale, AZ offers cosmetic treatments for almost every condition. We will help you find a treatment that addresses your worries and works with your lifestyle. Schedule an appointment by calling us today at 480-771-2133.